I read an article not too long ago about why debut albums can be so great. Chances are, the groups have been sitting around with those songs, perfecting them perhaps, for years before they are signed or have a chance to record them. Follow-up albums are usually newer material that don't have that kind of time to ferment. In theory all this makes sense. Perhaps that is why the Counting Crows' debut August and Everything After is so stellar and some of their subsequent albums have been a little more hit and miss. Each of those albums had some brilliant material but equal parts filler as well. But now they're out with their first new material in six years (though they did an album of covers a year or so ago) with Somewhere Under Wonderland. While there is a "deluxe" edition out there, it consists of two demos from album tracks. That's not really worth two extra bucks. Somewhere Under Wonderland is very good, but I won't go on to say it is great. It doesn't greatly deviate from much of their other work, but this time they're pulling from the better parts. And that's not to say they don't stretch here and there. I'm digging their eight-minute plus intro, "Pallisades Park". It reminds me of something Rickie Lee Jones would have done on Pirates. That is a high compliment. There are other good tunes: "Earthquake Driver", which is another song that isn't quite like anything else they've done. I like, and always have, Adam Duritz has a way with vocal phrasing and he does well with in on this song. And I like his voice. "Scarecrow" seems to be the commercial centerpiece from this disk. I can see it's appeal for being somewhat familiar and people tend to gravitate to what they know. And it's fine, but it's nothing new. The same can be said for almost all of the other six songs. The melodies are familiar but they're done well. They seemed to have cherry-picked their best elements from Recovering the Satellites and Saturday Nights and Sunday Mornings. "Johnny Appleseed's Lament" and "Possibility Days" are stand-outs. Yes, "Cover Up the Sun" and "God of Ocean Tides" have country tinges to them, but some reviews to call them country songs is off the mark. 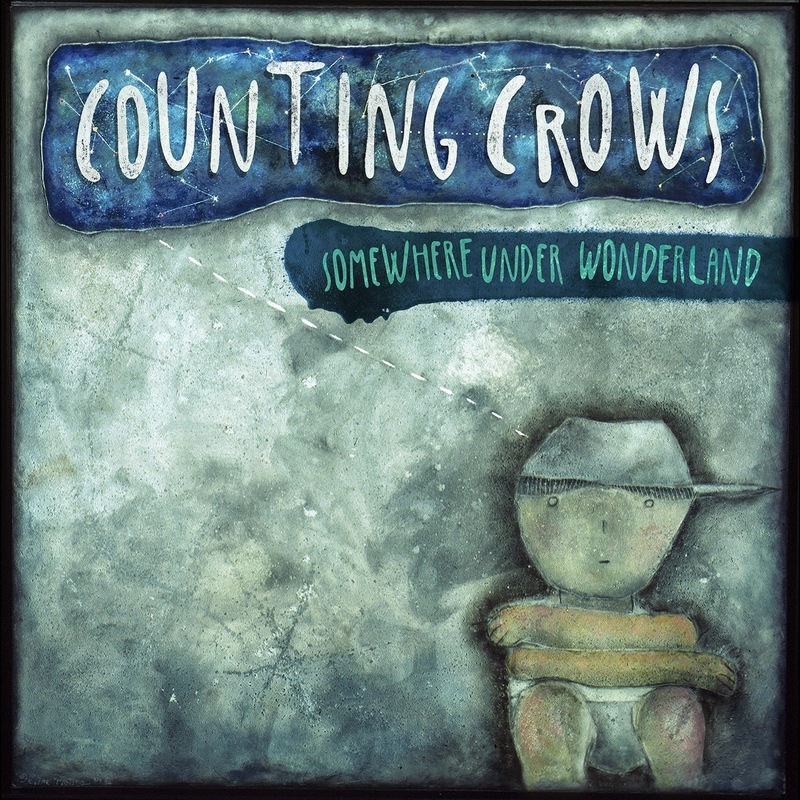 Counting Crows have always had a song or two in this vein. For $10 Somewhere Under Wonderland is a more than solid purchase.